Your wedding presents the opportunity to celebrate your love and the triumph of “happily ever after,” and to bring together family and friends for a memorable day you will talk about for years to come. In Alexandria, you can have it all: the picture-perfect venue, the mouthwatering menu, the details that make your wedding yours. 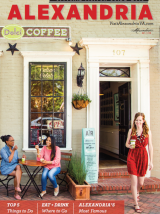 Alexandria is an accessible city that boasts a rich history and rests along the Potomac. It has heritage, charm, and everything you need for a seamless, tailored-for-you event. 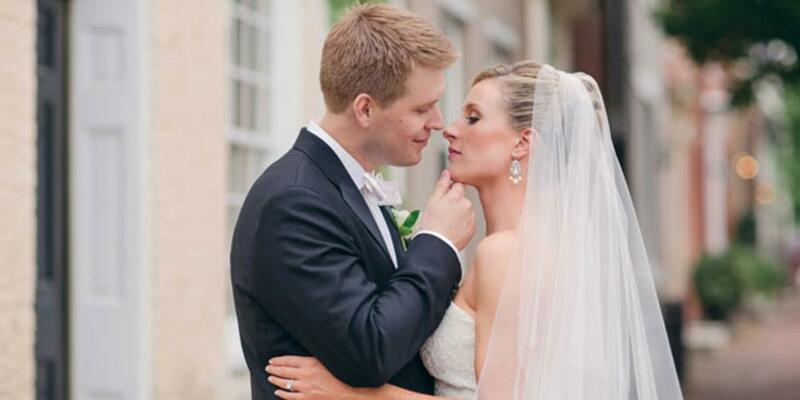 We rounded up 10 of our favorite reasons to get married in Alexandria. 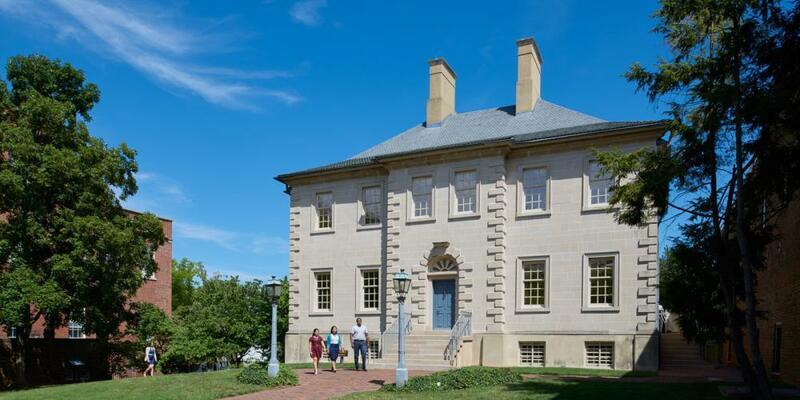 Alexandria features beautifully-preserved 18th century architecture that has accompanied American history through the Revolutionary War to modern day. 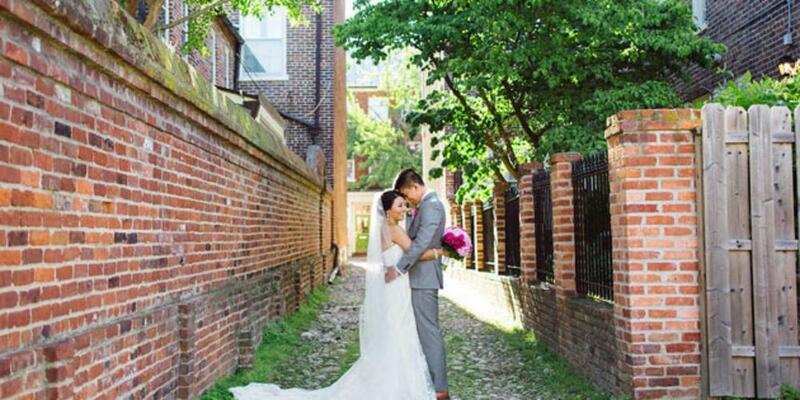 Carlyle House, Gasdby’s Tavern, Mount Vernon Inn, the Torpedo Factory Art Center and more pose as the perfect venue for ceremonies, receptions, rehearsal dinners and more. Travel logistics are made easy when you plan a wedding in Alexandria. With three major airports nearby, guests should have no trouble finding an affordable flight that works for them. 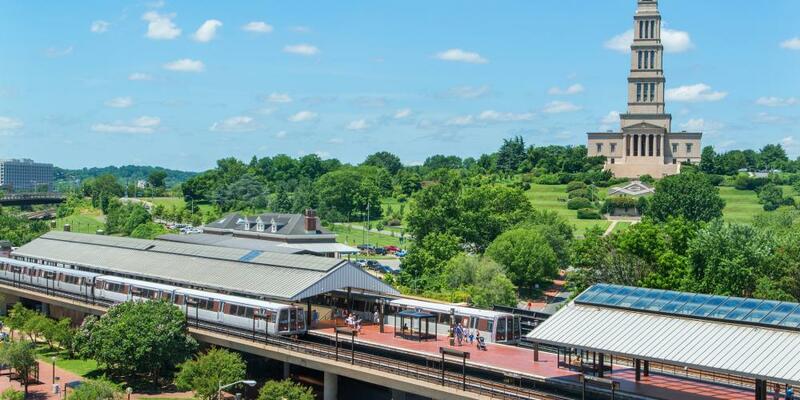 Guests can also easily access Alexandria by way of highway, Metrorail, or Amtrak. Say goodbye to hefty transportation costs. 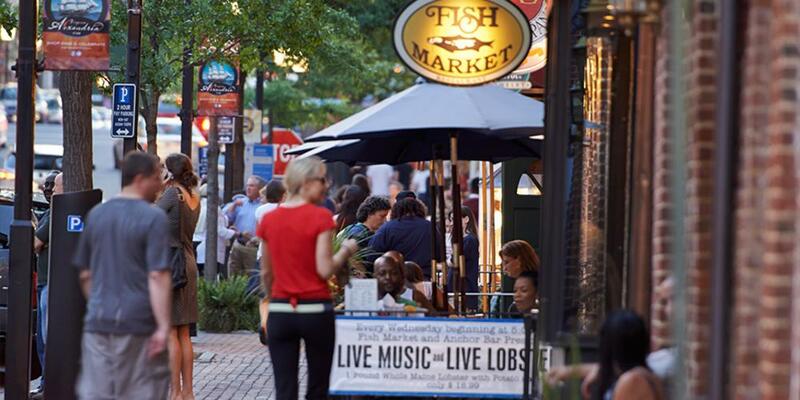 Alexandria is known as a “walk-friendly community” (and that walk is quite picturesque, if we do say so ourselves!) 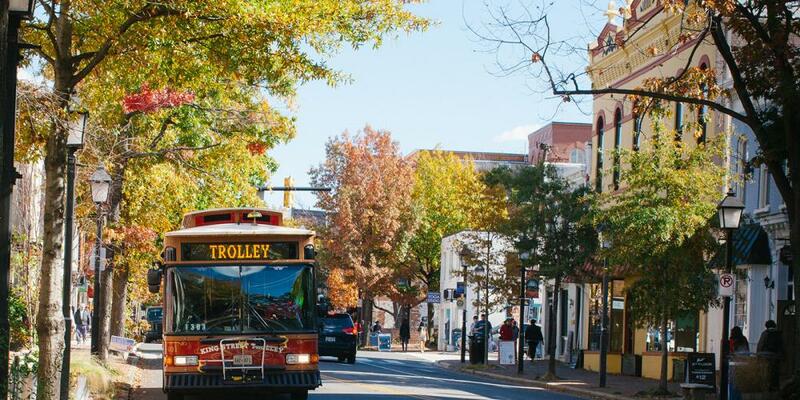 For those who want to give their feet a rest, the free King Street Trolley travels from the waterfront to the King St – Old Town Metrorail station. What are you thinking for your wedding? Traditional? Rustic? A garden soiree? Perhaps something completely different? Whatever your theme, Alexandria has the perfect venue. We invite you to check out both our unique venues and hotel venues to get the ideas rolling. 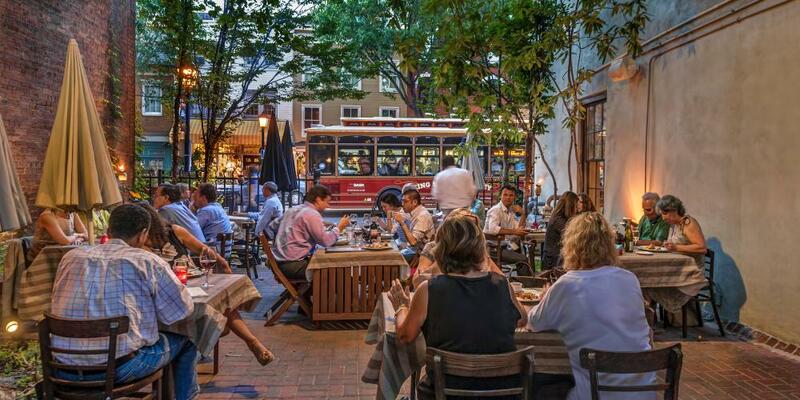 You can hardly throw a bouquet in Alexandria without hitting a top notch restaurant. 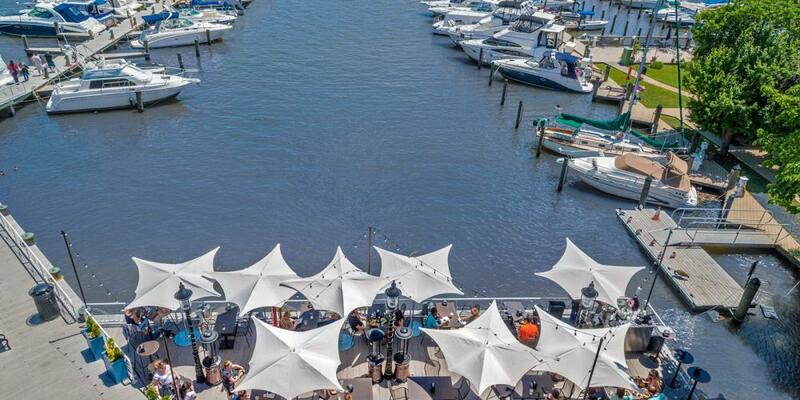 Alexandria’s dining scene has no shortage of waterfront views, chef-driven menus, and restored historic spots. With so many options, it’s easy—and even fun—to plan out wedding events from engagement parties to send-off brunches. However you envision your wedding photos, Alexandria offers the premier backdrop. Don’t believe us? Take a peek at our Instagram and we’ll let the picturesque sunsets, cobblestone streets, and dockside view speak for themselves. Many couples want to host a memorable wedding…without leaving a big carbon footprint. From farm-to-table dining options to eco-friendly hotels to mindful party favors, Alexandria makes it easy to host a green wedding. 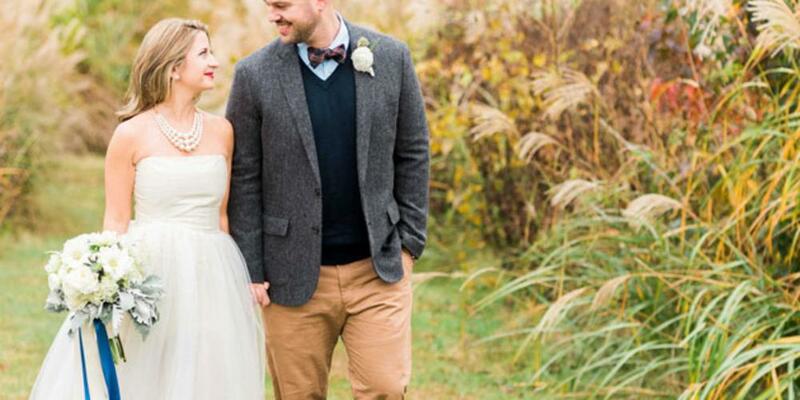 As you can see, an Alexandria wedding is what day dreams (and Pinterest boards!) are made of. Ready to start planning? Connect with Alexandria’s wedding services and tell use your vision. 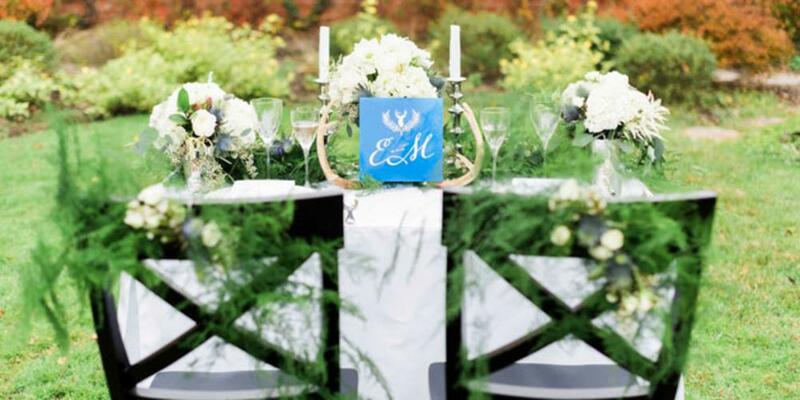 We can help you find resources that will allow you to enjoy a seamless, picture-perfect wedding. Contact our wedding specialist at (703) 652-5366 or Request Information online.